The World Around Us: Why Is Clover Lucky? Unless you live in Australia or Southeast Asia, you’ll have encountered clover in real life before. Any time you’ve gone walking in the hills, through fields – or in some cases, your own garden – you’ll have seen the plant, even if you didn’t immediately recognize it. It’s not actually much to look at. Part of the reason that it’s so forgettable is that it doesn’t really have any distinct shape. A clover can have as little as three leaves, or as many as fifty six (although the latter is admittedly a rarity and a world record). To the untrained eye, it’s just another green leafy plant which occasionally spawns a small, fairly sad looking flower. So how on Earth did it come to be seen as ‘lucky’? Even if you’ve never noticed a clover yourself before, you’ll be aware that it’s connected to Ireland somehow. The Irish are more likely to refer to the plant as a ‘shamrock’, and it’s every bit as much a part of their mythology as leprechauns, faeries and kissing the Blarney Stone. The connection comes from Ireland’s patron saint, St. Patrick (whom you once may have had a drink and worn a silly hat for), who used the humble shamrock to demonstrate the Holy Trinity; most shamrocks or clovers have three leaves, and therefore there was a leaf for the Father, a leaf for the Son, and a leaf for the Holy Spirit. Patrick was attempting to bring Christianity to Ireland in the 5th Century, and finding a plant that worked as a handy visual aid was probably quite useful to him in that process. Unbeknownst to him, the plant was already considered to be lucky even by the primitive people of the time; their own Gods included several triple deities, and the concept would have been easy for them to grasp. Much like the rose of England, and the thistle of Scotland, the shamrock was taken up as the national flower of Ireland. In the 1700s, imprints of the shamrock appeared on military insignia, on coins, and on medals awarded to returning soldiers. In the days before conventional camouflage, Irish soldiers even worse green on the battlefield; a color they took from the shamrock. So embedded in the Irish national identity is the plant, that the international air traffic control call-sign for Air Lingus; Ireland’s national airline; is ‘shamrock’. It’s easy to see and understand how the shamrock became embedded in Irish culture. It’s less easy to work out how it came to be seen as lucky. In fairness to the shamrock, or the clover – however you wish to refer to it, not all of them are actually seen as lucky. You need to find a four-leafed variant of the plant before you can consider luck to be on your side, and that’s the type that’s used as the symbol of good fortune all across Western culture. It’s so well known that a four leaf clover is lucky that entire gambling brands have been built around it; Clover Casino use the concept of lucky clover as a theme for their website, and offer a number of online slot games based on the legends and tales of old Ireland, leprechauns and all. 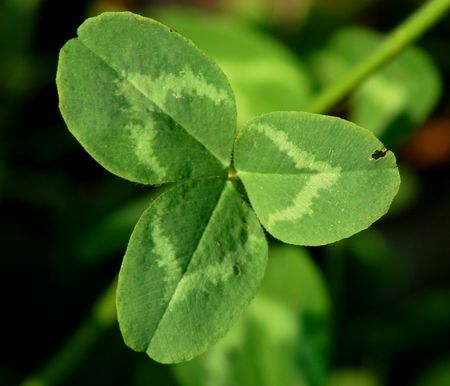 The concept of good luck is an important one to a prospective gambler, and so tapping into ‘the luck of the Irish’ and ‘lucky clover’ is a sound move by the website’s operators. But why do we think of the Irish as lucky at all? And why is it specifically four leafed clovers? The two facts aren’t actually connected, and ‘the luck of the Irish’ didn’t actually become attributed to them in Ireland. During the 19th Century gold rush, where American-Irish born miners seemed to find disproportionately more gold than anybody else did. The phrase has sort of worked its way backwards into the stereotypical view of the Irish, and become part of the view of the homeland, even if it didn’t come from there or have any relevance there. It’s a phrase that’s been applied, perhaps incorrectly, to the native Irish over time. The Irish aren’t lucky because of four leaf clover, and four leaf clover isn’t lucky because of the Irish. The scarcity of the four-leaved variant might have something to do with it. Only one in around five thousand clovers have four leaves, making them a rare find. We often associate rare stones and plants with luck, so that might be all there is to it. At the same time, though, five leafed clovers are even less common, and yet aren’t afforded the same status, so that isn’t an adequate reason. Some theorize that the love of the four leafed clover actually has roots in Irish folklore. The Irish are, historically, a fiercely religious and faith-driven society, and in some tales, the first leaf of the clover stand for hope, the second for faith, the third for love and the fourth for luck, thus making them a valuable find for whoever comes across one. Again, though, a fifth leaf would mean ‘money’ so the five leafed variant should be the luckier one according to old folklore, too! The reality is, we may never know. It’s a tradition that seems to date back as far as human history. There are versions of the tale of Adam and Eve which say Eve plucked a four leafed clover from the Garden of Eden after banishment, as a souvenir of paradise. The Druids of the ancient Celtic world were known to carry around four leafed clovers to ward off evil spirits. In the Middle Ages, Irish children headed out hunting for faeries armed with a four leafed clover, believing that only that flower would give them the ability to see the spectral beings. They have always been linked to the supernatural and the superstitious, they have always seemingly been connected to Ireland, and they’ve always brought their bearers good fortune. Sadly, it seems, we’ll never actually know why. The original reason appears to be lost to time. But then isn’t that the point of mythology; it’s always more fun when you don’t know? If you liked this post from Neighbor Goods, feel free to let us know on our contact page.